The book examines ‘wildmen’, images of hairy humanlike creatures known to rural villagers and other local people in Southeast Asia and elsewhere. Sometimes described in considerable detail, the creatures are reported as still living or as having survived until recent times. The aim of the book is to discover the source of these representations and their status in local systems of knowledge, partly in relation to distinct categories of spiritual beings, known animals, and other human groups. It explores images of the wildman from throughout Southeast Asia, focusing in particular on the Indonesian islands, and beyond, including the Asian mainland, Africa, North America, Africa, Australia, and Oceania. The book reveals how, in Southeast Asia and elsewhere, ‘wildmen’ cannot readily be explained as imaginary constructs rooted in cultural values and social institutions, nor as simply another kind of ‘spirit’. Also critically examined is a view of such figures as fundamentally similar expressions of a pan-human mental ‘archetype’. Forth concludes that many Asian and African figures are grounded in experience or memories of anthropoid apes supplemented by encounters with ethnic others. Representations developed among European immigrants (including the North American ‘sasquatch’) are, in part, similarly traceable to an indirect knowledge of primates, informed by long-standing European representations of hairy humans that have coloured western views of non-western peoples and which may themselves originate in ancient experience of apes. At the same time, the book demonstrates how Indonesian and other Malayo-Polynesian images cannot be explained in the same way, and explores the possibility of these reflecting an ancient experience of non-sapiens hominins. 1. Introduction 2. The Story of Ebu Gogo 3. Other Florenese Hominoids 4. Other Eastern Islands 5. The ‘Short Man’ (Orang Pendek) of Sumatra 6. Wildmen of Western Indonesia and Mainland Southeast Asia 7. Other Asian Hominoids 8. Outside Asia 9. Pacific Images 10. What Were the Ebu Gogo? 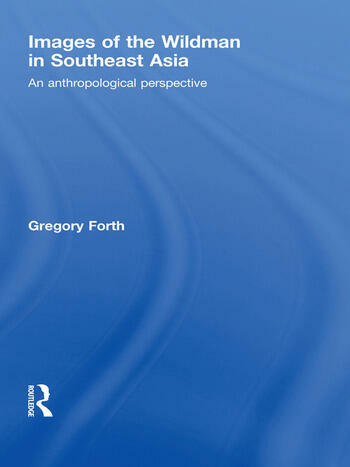 Gregory Forth is a Professor in the Department of Anthropology at the University of Alberta, Canada.